“We concluded that, if we, personally, can’t reach the Pakistanis in their country, we will either have to personally meet Pakistanis outside their country or have to find someone who could meet Pakistanis in their own country. “Thankfully, the Citizens Archive of Pakistan immediately agreed to the idea of conducting interviews for us, even following our interview manual which we had created to ensure consistent content and videography, similar to the MF Brand Book that some of us helped to create. While we were, of course, frustrated with the situation as it meant that, even with such a manual, we would inadvertently have to compromise on consistency, we are very grateful to our collaboration partner and are confident that we will get good quality from them. 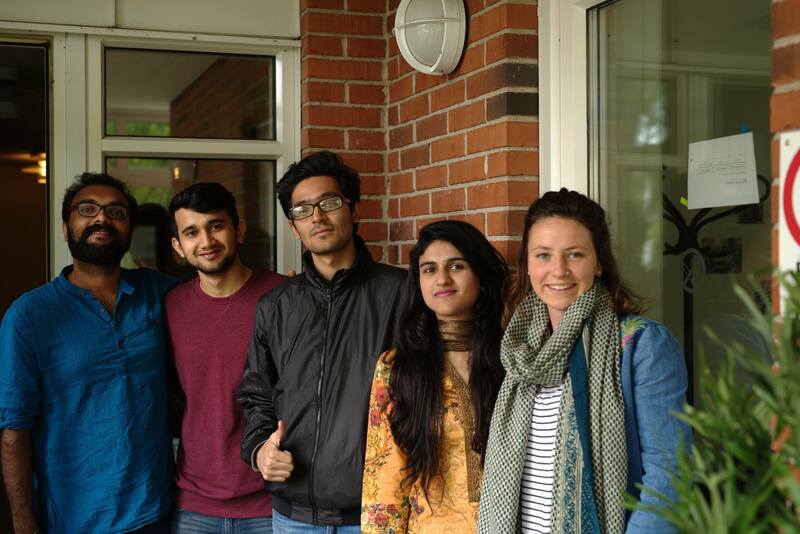 “Meeting Pakistanis outside their country was also not our first choice as it would narrow down the group of interviewees to certain demographics, but with no other option in hand we are now also conducting interviews in our respective countries. “Our trip to India then concluded with a week-long stay in Bangalore where, thanks to personal contacts of BMS fellows, we were able to meet even more interesting people to interview giving us yet more perspectives on the conflict. 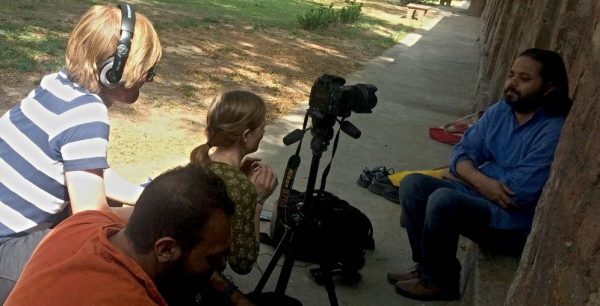 The artist collective Open Sky Slam quickly jumped to the rescue, setting up interviews and even agreeing to reach out to their Pakistani contacts to ask them to conduct interviews following our guidelines themselves. “One thing that stood out throughout the whole experience was the teamwork and routine that was quickly established within the interview team. Having had many years of experiences with each other’s cultures, working together and even being friends, we managed to use each person’s strength to our advantage and make up for each of our flaws. 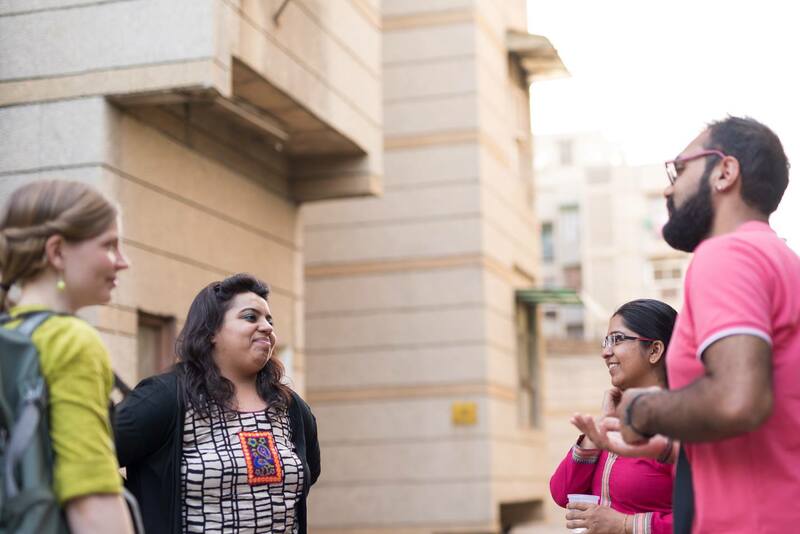 “Having one Indian fellow and two fellows who know their way in India quickly endeared us to our interviewees, making it possible to connect with them, understanding their stories and navigating sometimes difficult situations. Creating this connection was our biggest asset as some interviewees really reached deep and shared stories with us that even some of their friends and family are yet to hear. “Interestingly, the themes of the stories we collected turned out to be quite different from the ones we heard in Israel and Palestine. While interviewees in our first documentary often recalled stories of imminent danger, humiliation or other interactions, stories in India focused more on seemingly more complex issues of identity and feeling excluded from society. “This difference might be partly due to the superficially stable situation between India and Pakistan and the size of the countries so that larger parts of the societies haven’t personally experienced physical violence between the two countries for decades. Consequently, interviewees from the border region or from Kashmir had stories that were more similar to our first documentary.